With the news revealed by the latest tiger census that India now has a third more tigers than it did four years ago, comes all the more reason to stay at The Oberoi Vanyavilas, Ranthambhore. 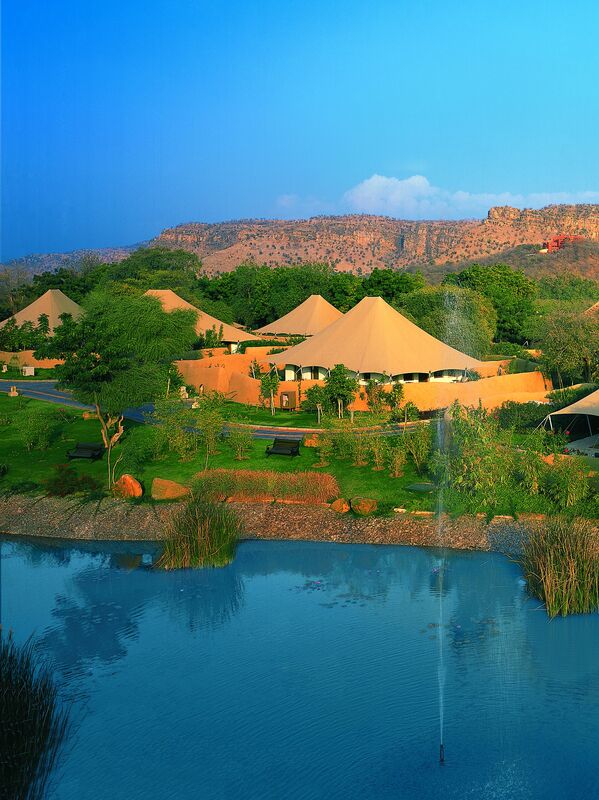 Situated just ten minutes’ drive from Ranthambhore National Park, The Oberoi Vanyavilas offers guests the opportunity to see Royal Bengal Tigers in their natural habitat, and revel in their surge in numbers. 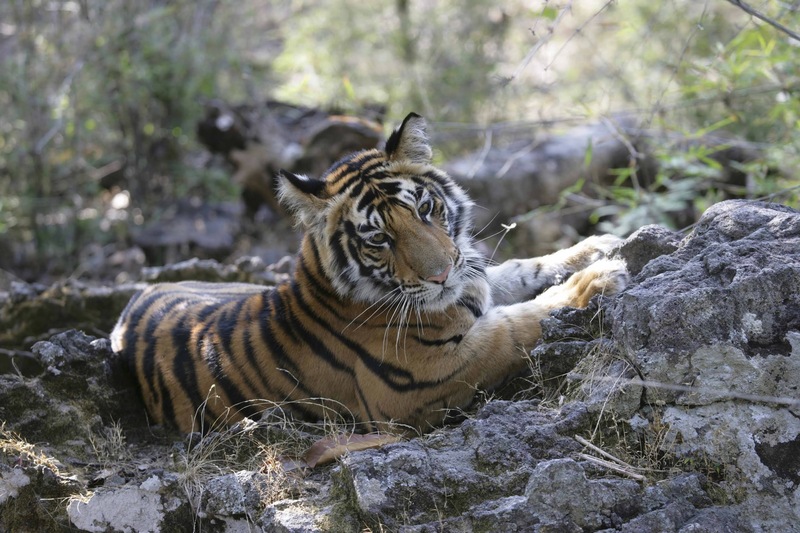 India is home to around 70% or 2,226 of the world’s tigers; approximately 60 of which inhabit Ranthambhore National Park in Rajasthan making it the most densely populated tiger reserve in India. Thanks to the dedicated efforts of the park’s conservationists who closely monitor the behaviour patterns of their resident tigers, visitors to Ranthambhore stand a very good chance of witnessing these majestic animals in the wild. 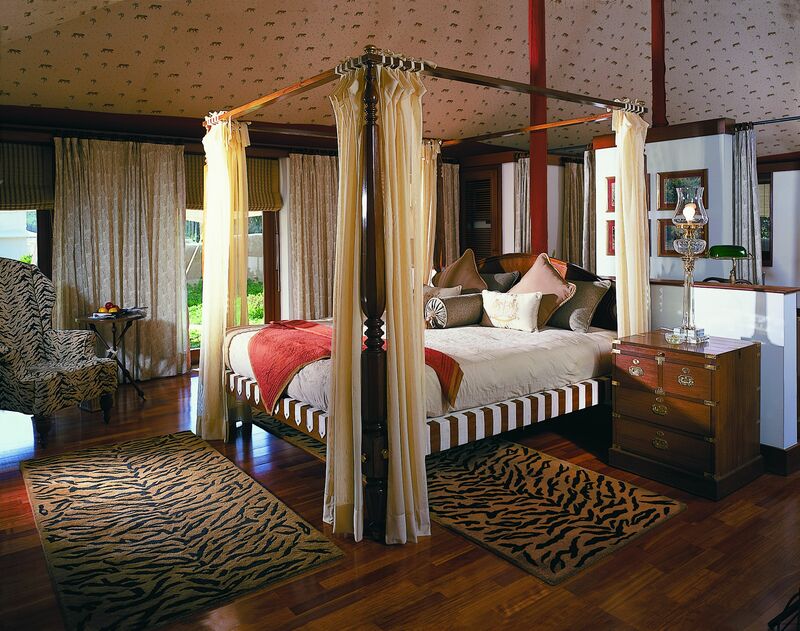 Guests can maximise their chances of a tiger sighting by staying at The Oberoi Vanyavilas in Ranthambhore National Park – one of the Original Project Tiger Game reserves. Accompanied by expert safari guides, horticulturists, and botanists, guests will be guaranteed an enchanting and informative experience while exploring the territory of the tiger. Start the day with an exciting jungle safari. Driving along rugged tracks, past fields of long grass and watering holes, experience the reserve’s diverse wildlife and an opportunity to see the majestic tiger in its natural environment. After a day of adventure, rejuvenate with a signature Oberoi Spa therapy, enjoy romantic sunset views and champagne at the top of the observation tower. Romantic dinners can also be arranged under the stars at special locations within the resort. 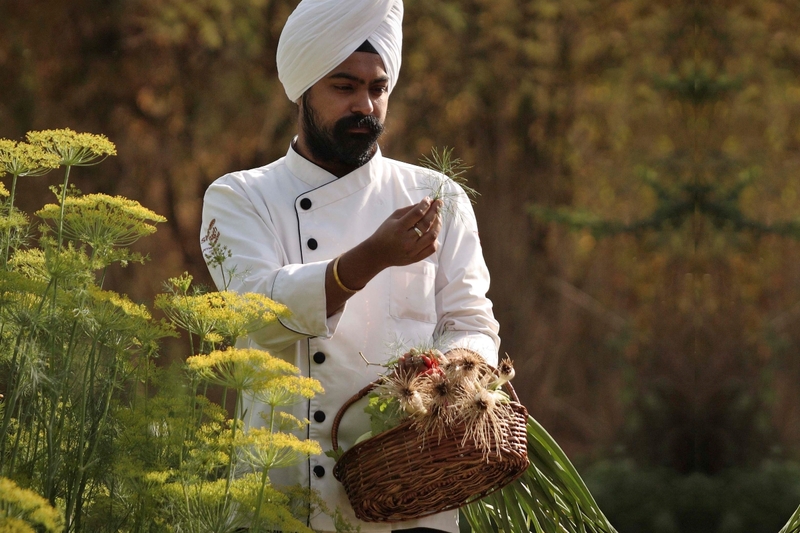 Stay at the jungle resort for two or three days and enjoy cooking classes with the chefs; take a guided nature walk around the 20 acre gardens, woods, and mango groves, or help bathe and feed the beloved resident elephants. 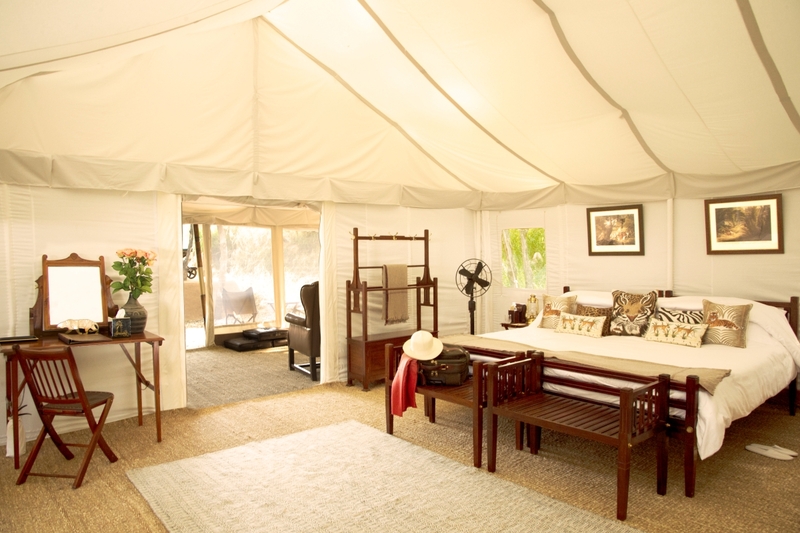 After a busy day in the jungle, guests can retire to their cool, triple-canopied Luxury Tents appointed with four-poster beds and standalone baths. 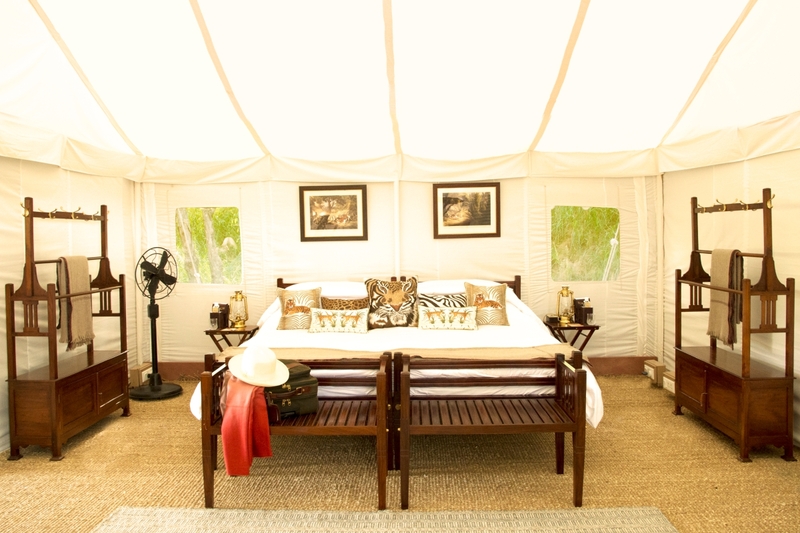 With private gardens protected by authentic Rajasthani mud walls and connected by lit pathways to the pool, restaurant and Oberoi Spa, the Luxury Tents provide the ultimate comfort whilst adhering to the subtleties of their natural surroundings. 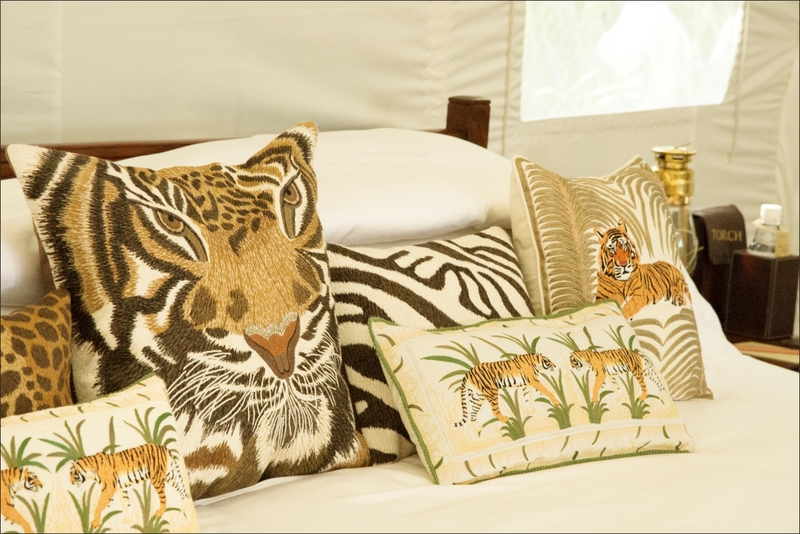 The tents are embellished with frescoes, ornaments and upholstery that celebrate the existence of the tiger and its continued prominence in the jungles of Rajasthan. 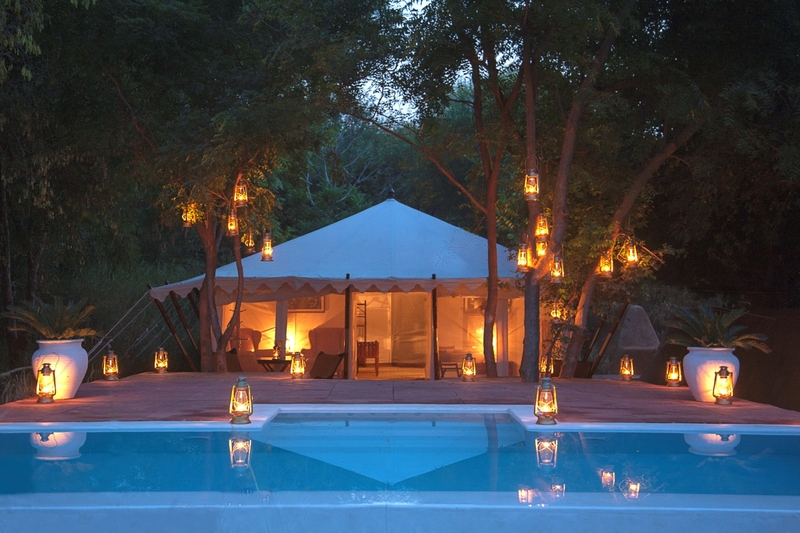 A night in a Luxury Tent with Private Garden and Patio at The Oberoi Vanyavilas, Ranthambhore, starts from 44,500 INR / £478.31 approx. based on two people sharing. 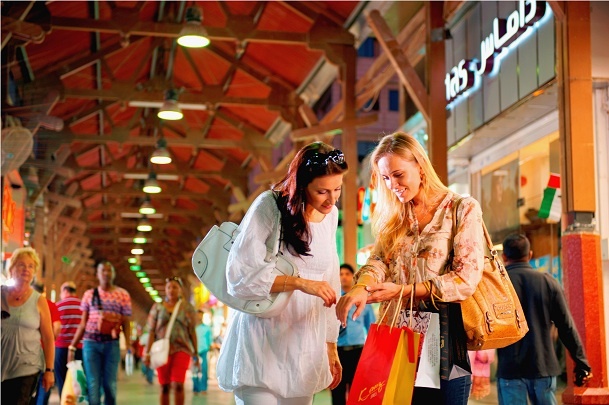 Make the most of one of the biggest shopping and entertainment extravaganzas in the Middle East – The Dubai Shopping Festival, with the Shop ‘Till’ You Drop package at the award-winning The Oberoi, Dubai, available from 2nd January to 7th February 2015. The Shop ‘Till’ You Drop package includes complimentary scheduled transfers to the Dubai Mall – the largest shopping centre in the world. Once there, guests can shop to their heart’s content, taking advantage of the shopping bag collection service that will deliver purchases back to the hotel, three times a day. 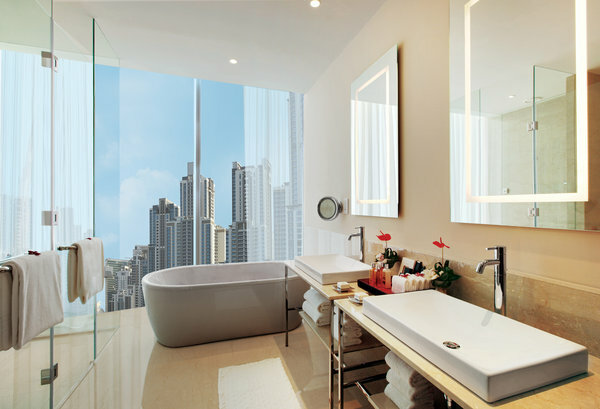 Additionally, The Oberoi, Dubai will provide a dedicated shopping concierge desk with information and deals of the day. A 24-hour butler service is on hand to help with packing purchases, making bookings with personal stylists, or private viewings in exclusive boutiques. The package includes accommodation in a Deluxe Room, daily buffet breakfast for two at Nine7One, the hotel’s world cuisine restaurant, in addition to a daily hotel credit of AED 200 (approx. 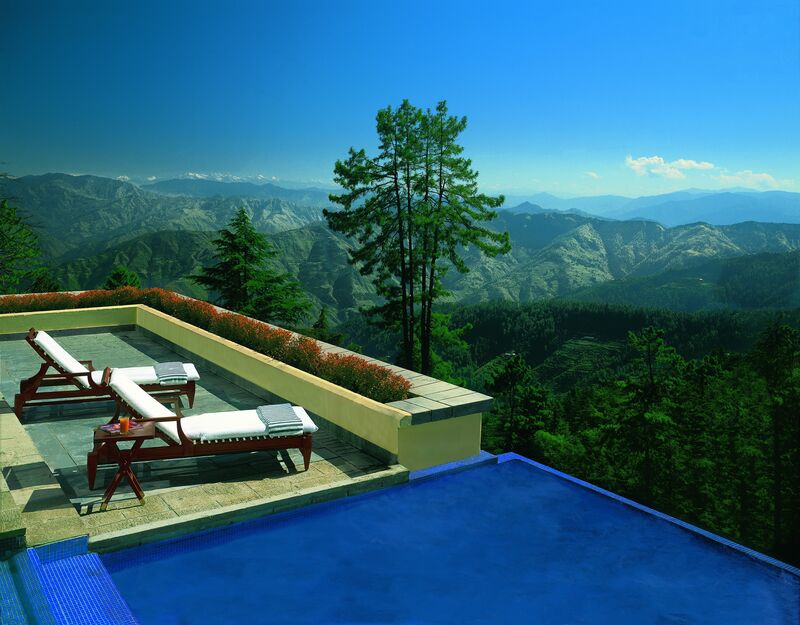 £34.54) for redemption across all three signature restaurants and at The Oberoi Spa. The Shop ‘Till’ You Drop package at The Oberoi, Dubai is available from 2nd January to 7th February 2015, priced at AED 1,400 (approx. £241.79), per night and is subject to 10% municipality fees, 10% service charge and tourism dirham fee of AED 20 (approx. £3.45) per bedroom per night. 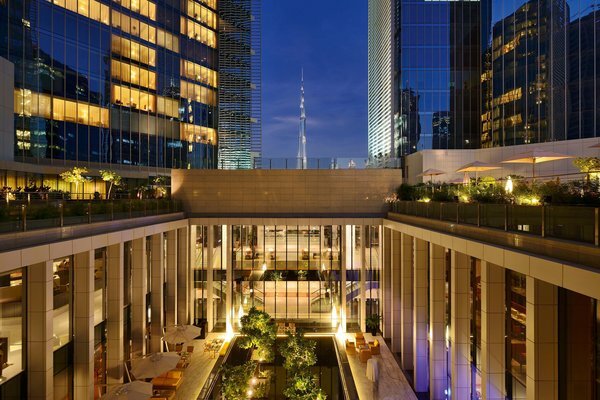 Offering stunning views of the Burj Khalifa, The Oberoi Dubai’s location – just minutes away from Dubai Mall – and the legendary Oberoi service make it perfect for those looking to enjoy all that the Dubai Shopping Festival has to offer. The hotel also offers a luxurious spa, where guests can pamper themselves and rejuvenate after their shopping adventures. To make a reservation or for more information, please call +971 4 444 1 444 or e-mail Reservations.TODB@oberoihotels.com and quote ‘shop till you drop’. 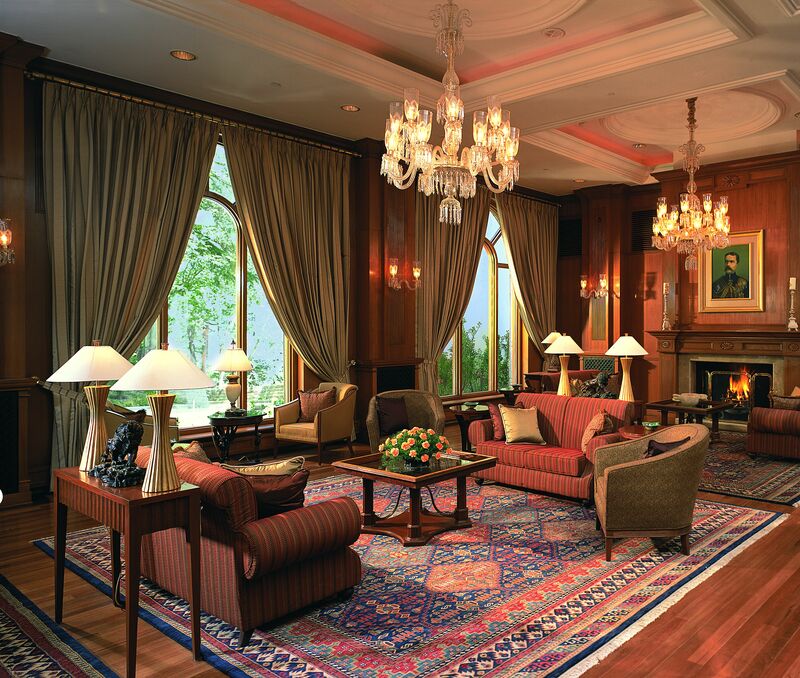 The Oberoi Group, founded in 1934, operates 30 hotels, a Nile Cruiser and a Motor Vessel in the backwaters of Kerala under the luxury ‘Oberoi’ and five-star ‘Trident’ brands in India, Egypt, Mauritius, Indonesia, Saudi Arabia and The United Arab Emirates. The Group is also engaged in flight catering, managing airport restaurants, travel and tour services, car rentals, project management and corporate air charters. The Oberoi, Dubai has revealed its 2014 celebrations for the festive season and they are enough to make anyone want to opt for sun rather than snow this Christmas. All degrees of merriment are catered for: from traditional festive fare at world cuisine restaurant Nine7One, to contemporary Asian cuisine at Umai or avant-garde Indian delicacies at Ananta. The hotel offers a range of gourmet festive packages and party venues to suit all tastes, as well as family activities such as gingerbread-making classes. On Christmas Eve the hotel’s in-house choir will spark the festive spirit with carol singing in the lobby and Christmassy taster menus, with prices starting from AED 280 (approx. £47). Christmas Day and Boxing Day bring a wide range of culinary delights for all. Celebrate with family and friends at the Festive Brunches hosted at Nine7One. 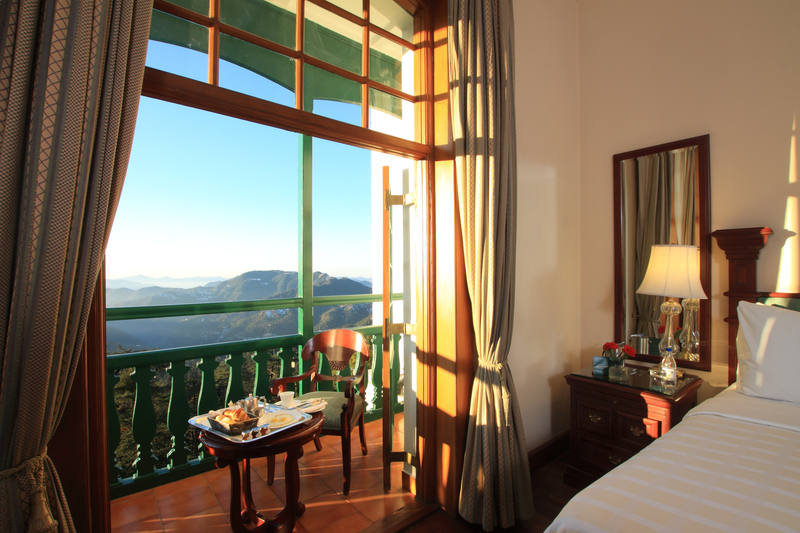 On both days, guests can choose from a variety of packages. Prices start from AED 395 (approx. 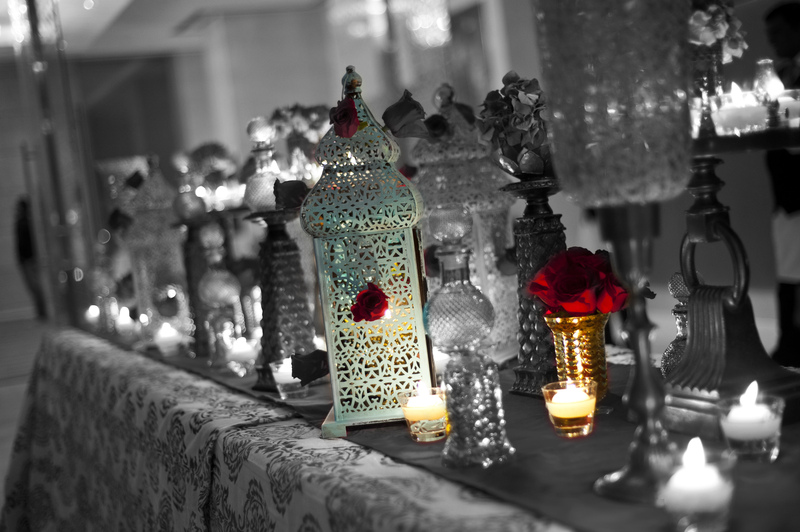 £67) per person for a soft drinks package or opt for a bubbly package at AED 695 (approx. £118.52). Celebrate New Year’s Eve with a view – experience breathtaking panoramas on the hotel’s 26th floor, with a private viewing deck of the Burj Khalifa fireworks. Plan an intimate gathering of up to 35 guests and enjoy delicious canapés at AED 850 (approx.£144.95) per guest, including house beverages and a glass of bubbly to toast the New Year. 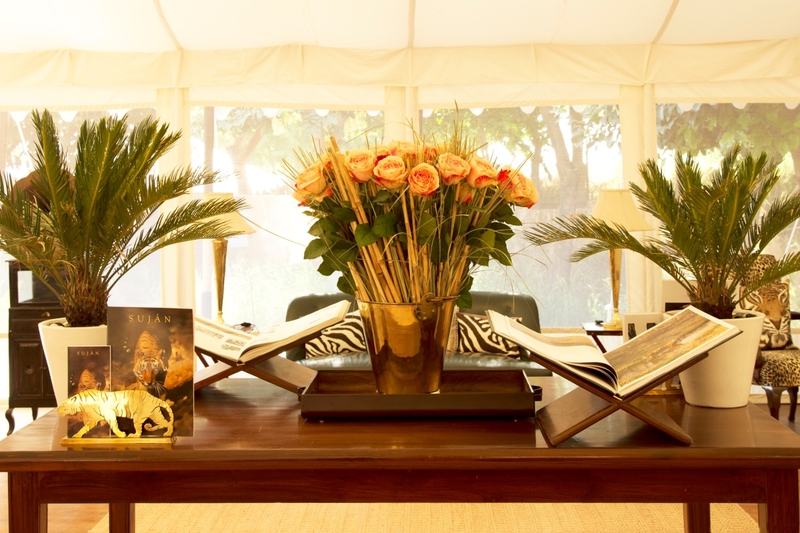 The hotel’s dedicated event planning team is on hand to help, from designing festive menus to preparing exclusive indoor and outdoor function spaces, providing the perfect setting for a festive finale. 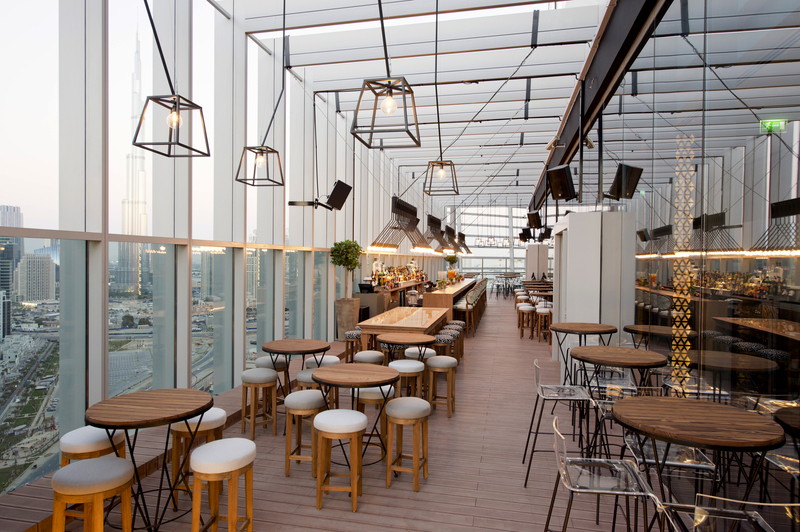 Continue the celebrations on New Year’s Day with a barbeque at Nine7One, offering an international selection of gastronomic dishes from the charcoal grill, yakitori, tandoor and Shawarma rotisserie. If guests are looking to unwind after the festive season, then The Oberoi, Dubai offers a ‘Festive Synergy’ package at the hotel’s spa. Therapists will relax, rejuvenate and revive aching muscles. Guests will be re-energised for the New Year and primed for some of the best bargains to be had at The Dubai Shopping Festival 2015. 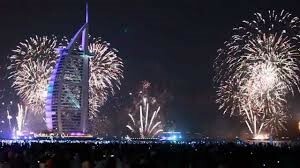 The hotel’s close proximity to The Dubai Mall will ensure that guests are the first in the shops on 1st January when the fetsival begins. The Oberoi, Dubai, The Oberoi Group’s first property in the UAE, announces its appointment as the Official Hotel in Dubai for the International Premier Tennis League (IPTL). In addition to hosting international, award winning tennis stars including World Number 1 Novak Djokovic, former World Number 1 Caroline Wozniacki and the legendary Goran Ivanisevic, the hotel launches a smashing IPTL package for guests, available from 11th – 13th December 2014 – it’s sure to be ace! The much-awaited team-based tennis league will feature the best current and former ATP and WTA stars playing for four franchises in the UAE, India, Singapore and Philippines. The star-studded teams include 21 Grand Slam Champions and 14 current and former World Number Ones. After a series of matches in Manila, Singapore and New Delhi, the inaugural edition of the IPTL will conclude in the UAE, with matches scheduled in Dubai from 11th – 13th December 2014. During these dates, The Oberoi, Dubai will host the international players that make up the UAE ‘Royals’ team, including World No. 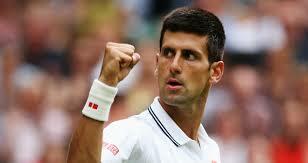 1 Novak Djokovic, World No. 9 Marin Cilic, Canadian tennis sensation Eugenie Bouchard, former World Number One Caroline Wozniacki, the legendary Goran Ivanisevic, doubles specialist Nenad Zimonjic and the Number One Arab player in the world, Malek Jaziri. It will be the guests’ advantage at The Oberoi, Dubai as they will have the opportunity to meet their sporting heroes. Celebrating the spirit of the tournament, players and guests alike will be able to indulge their palates with healthy and organic menus, specially crafted for the occasion by Executive Chef Dirk Haltenhof and his team. 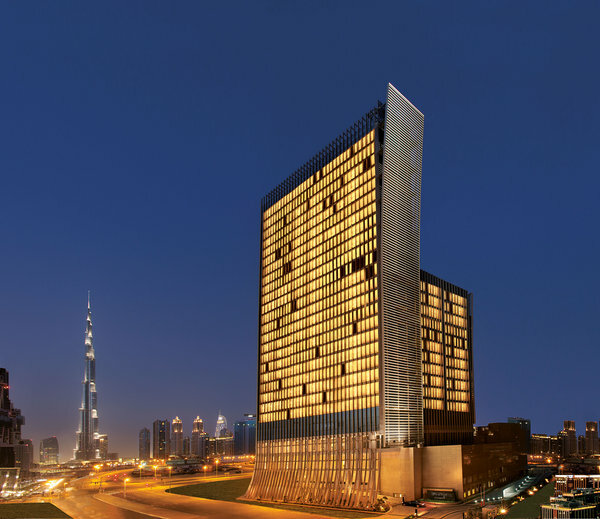 Overlooking the Burj Khalifa and located in the heart of Business Bay just minutes from Dubai Mall, The Oberoi, Dubai is a contemporary hotel that embodies height, light and space throughout its 252 rooms and suites and three signature restaurants. Discerning diners can choose from Ananta, the Indian signature restaurant, Umai, a contemporary Asian restaurant and the elegant Lobby Lounge, which will be serving à la carte options after sunset. 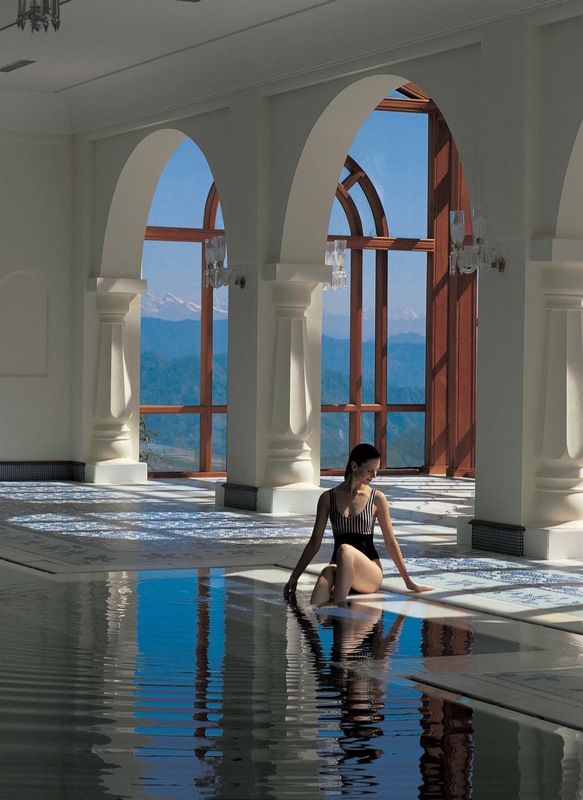 Guests can also enjoy The Oberoi Wellness Centre which features a well-equipped gymnasium and infinity pool, The Oberoi Spa and daily offered complimentary yoga classes. With The Oberoi, Dubai, sports-stars and guests alike will experience excellent service, no forced or un-forced errors and a whole lot of love. To make a reservation to experience the award-winning The Oberoi, Dubai, please call +971 4 4441444 or email reservations.todb@oberoihotels.com. The Oberoi Group Reveals Its Latest Offer: The ‘Best of Egypt’, Valid until 31st March 2015. The Oberoi, Sahl Hasheesh, Red Sea and The Oberoi Zahra, Luxury Nile Cruiser are offering an invitation to experience the ‘Best of Egypt’. 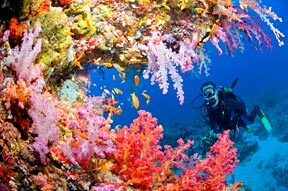 Explore rare marine life, nature’s fabulous colours, white sand and the timeless beauty of the Red Sea. Visit ancient monuments, temples and five thousand years of Egyptian culture on the river Nile. 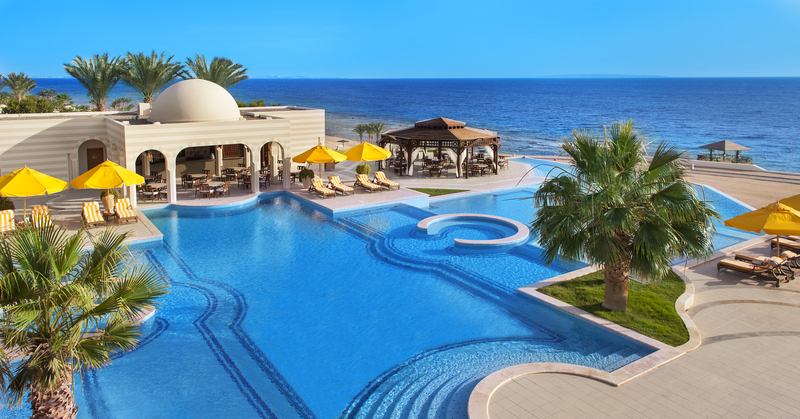 The swimming pool at The Oberoi, Sahl Hasheesh neighbours the beachfront. The offer is valid till 31st March, 2015. A Minimum of 11 nights’ stay; with 4 nights at The Oberoi Zahra and 7 nights at The Oberoi, Sahl Hasheesh, Red Sea, Egypt (or vice versa) are required to avail the offer. 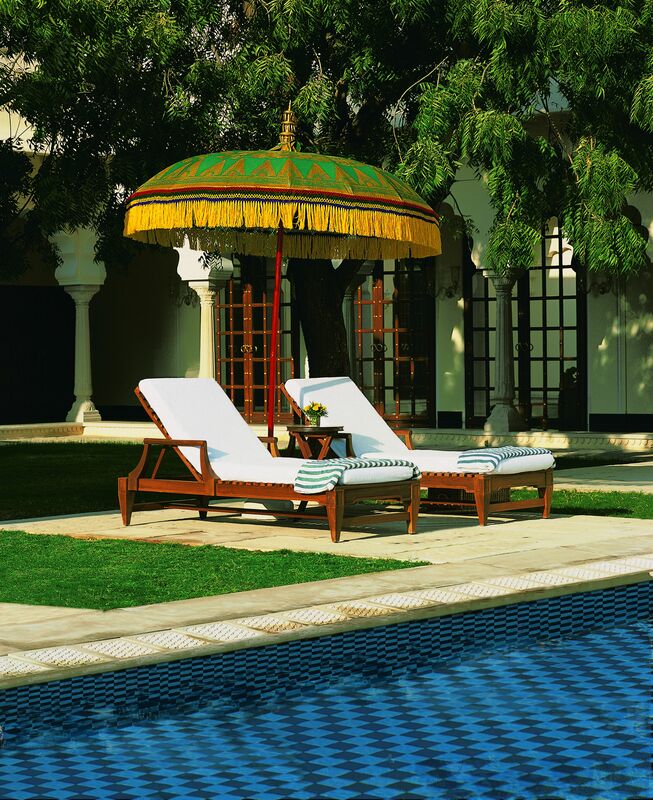 For more information on the special offer or reservations, please visit www.oberoihotels.com. 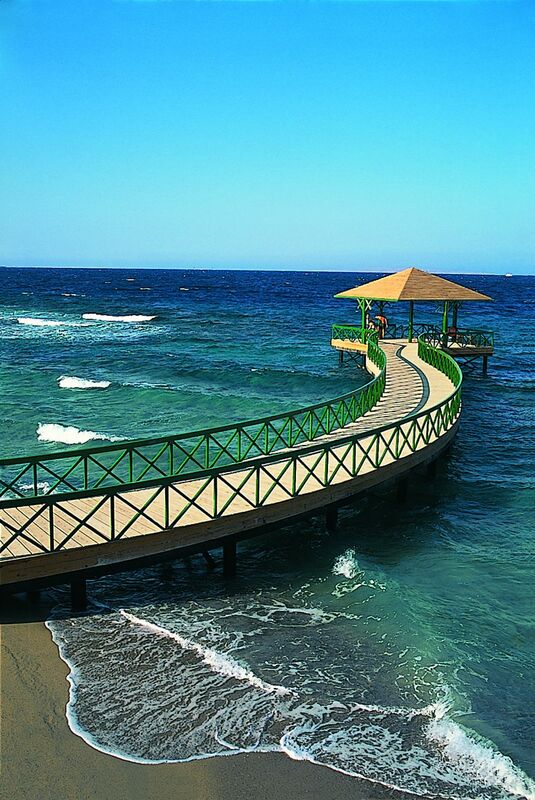 The Oberoi, Sahl Hasheesh is an all-suite resort located on the picturesque coastline of the Red Sea in Egypt. The resort celebrates the timeless beauty of the sea, Nature’s magnificent colours and rare marine life. The colours of nature take on a distinct character at The Oberoi, Sahl Hasheesh, with white sand, aquamarine water and the vibrantly hued marine life. 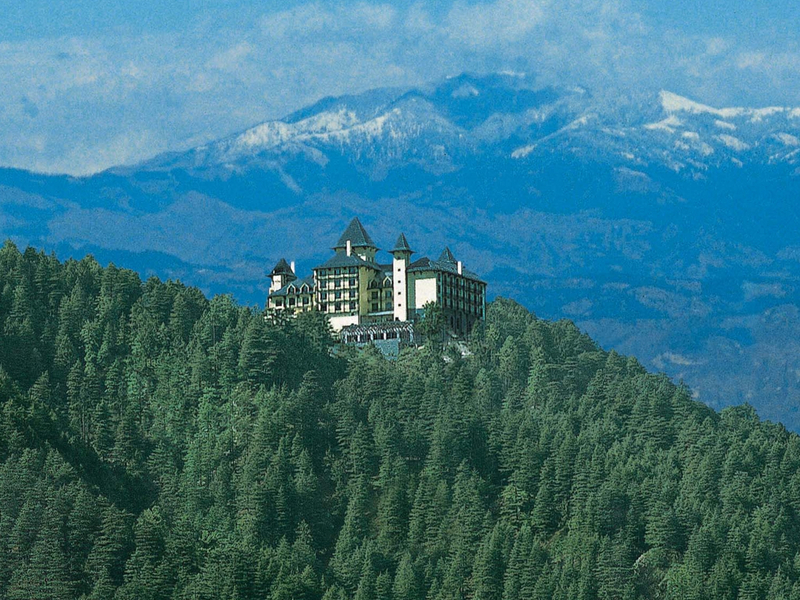 The resort is spread over 48 acres of landscaped gardens and undulating sand dunes. 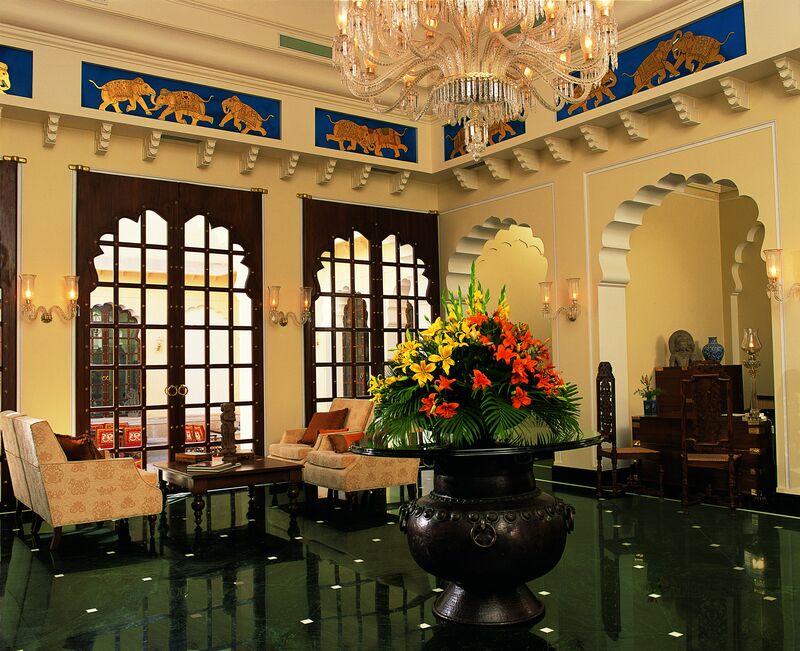 Resplendent with domes, arches and columns its classical design pays tribute to the legacy of Moorish architecture. The resort also includes an 850-meter private beach with a private diving centre and a three level outdoor swimming pool with a Jacuzzi offering an expansive view of the Red Sea. 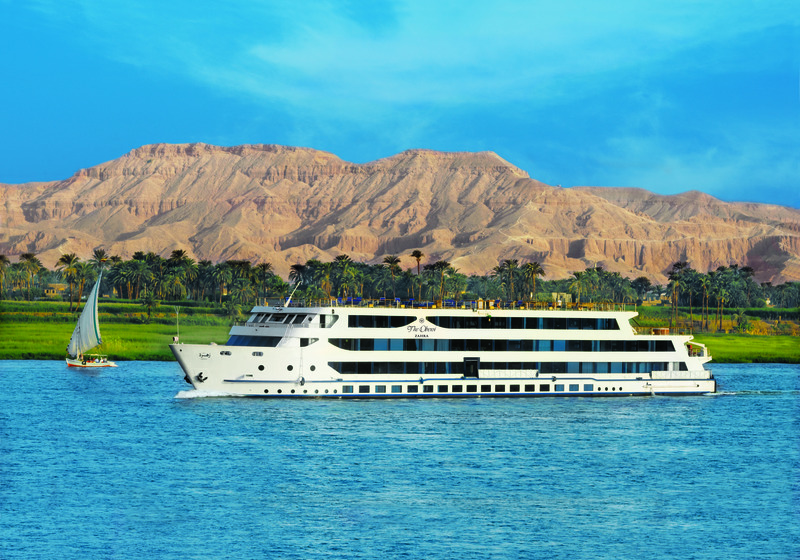 The Oberoi Zahra sails on a seven-day itinerary from Luxor to Aswan (and vice versa), allowing guests the opportunity to leisurely discover five thousand years of Egyptian culture. 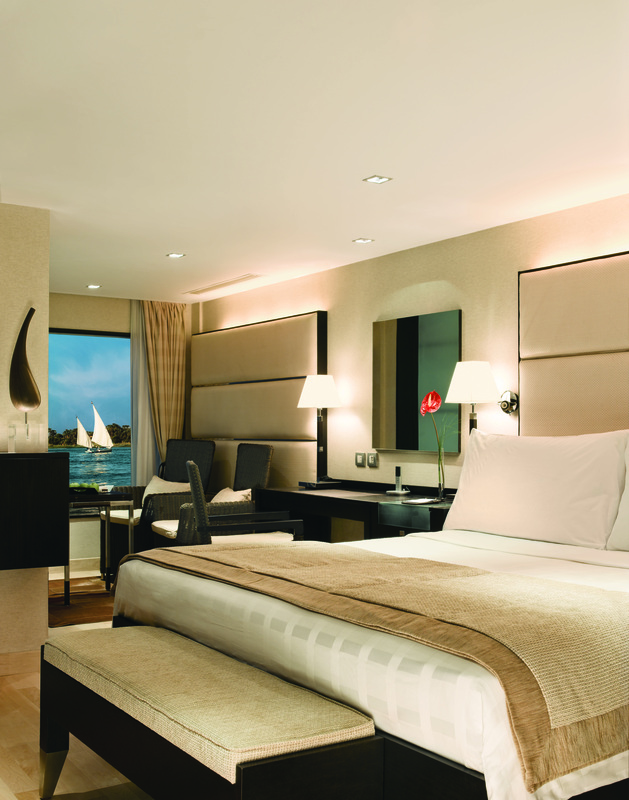 The cruiser’s 25 Luxury Cabins and two Luxury Suites offer amongst the most spacious accommodations on the Nile. The mutedly elegant interior of the Luxury Cabins and Luxury Suites is complemented by expansive views of the river framed by large windows within the cabins and the en suite bathrooms. 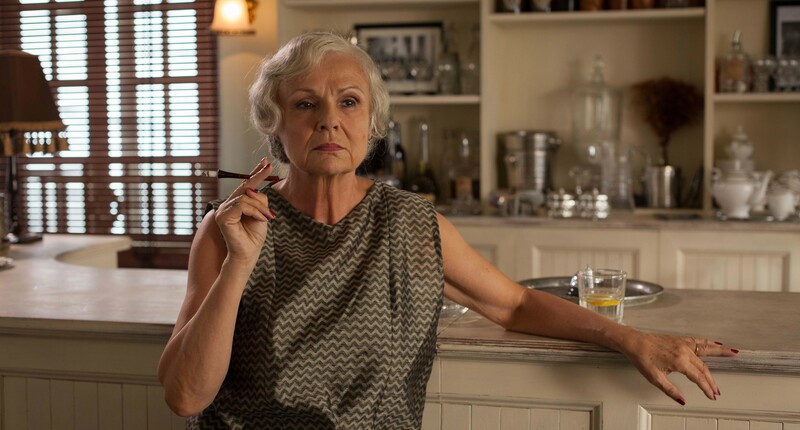 The Luxury Suites feature the additional amenity of a separate living room and an attached terrace with a Jacuzzi. The Oberoi Zahra is the only boat on the Nile with a full service spa featuring four massage suites; each includes a private shower and steam room. 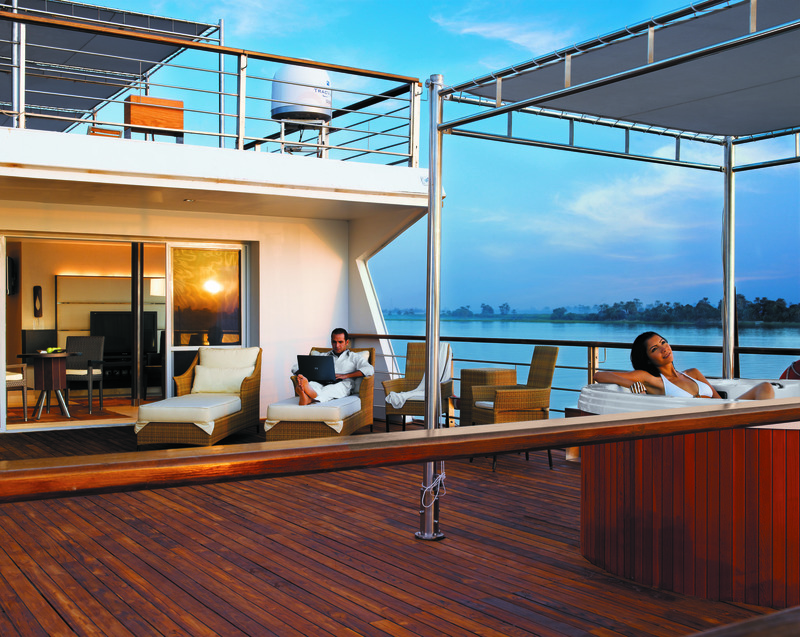 Additional facilities on the cruiser include a theatre, Library and Cigar Lounge, outdoor swimming pool and a well-appointed gymnasium. 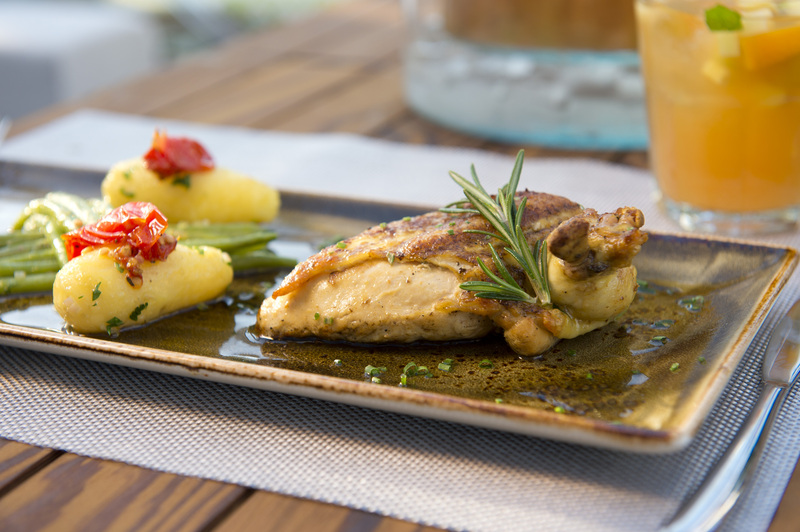 The restaurant on board offers a selection of international and Egyptian cuisine. The cruiser also enjoys private docking facilities in most ports, allowing guests an almost private viewing of the sites.